Mikia tepens (Walker), a Tachinid considered an "uncommon beauty" by Mik, whose name has been immortalized in this fly's genus, is a rare fly from Kanha Tiger Reserve, a parasite of congregating pine moth caterpillars. 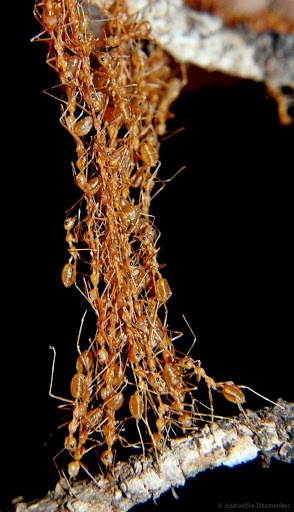 · Ants are the most common social insects of KTR, and crickets are the most common solitary ground-dwelling insects. · There are several first records for Kanha, and central India as a whole: Methocha sp. (Hymenoptera), Pseudagrion splendidissima (Odonata), Tropidomantis sp. (Mantodea), Forcipula sp. (Dermaptera), Cardiophorus notatus and Camposternus sp. (Coleoptera), Mikia tepens (Diptera). · Covers over 436 photographs of insects including 73 species of butterflies common to Kanha, 9 species of tiger beetles, 47 species of true bugs, 22 species of ants, 24 of grasshoppers, 40 of dragonflies and damselflies, and 9 of praying mantises. of inactivity called quiescence in a peculiar way probably documented for the first time. · Lynx spiders are the most common spiders of Kanha, followed by wolf spider, jumping spider, orb weavers, and crab spiders. · There are a few first records for Kanha, and Madhya Pradesh as a whole: Deinopis sp. (probably a new species belonging to Deinopidae) and Castianeria sp. 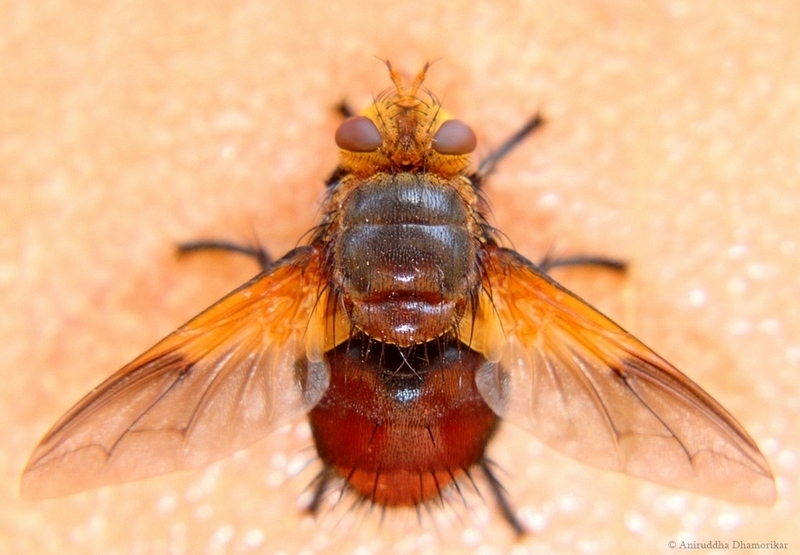 (belonging to Corinnidae). 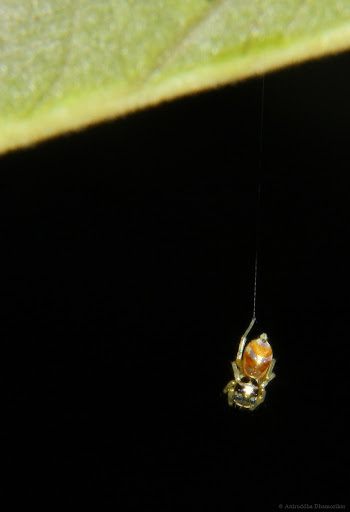 · Covers over 114 colour photographs of spiders, including 30 species of jumping spiders, 7 of wolf spiders, 9 of orb weavers, and others including a Deinopid, Stenochilid, and Oonopid. bridge between two Mahua branches to carry food. · This document is a work in progress. It was undertaken solely through on-field observations and with the use of on-field photography – no specimens were collected, hence identifications are left blank wherever it was not possible to deduce a confirmed identity of the individual. 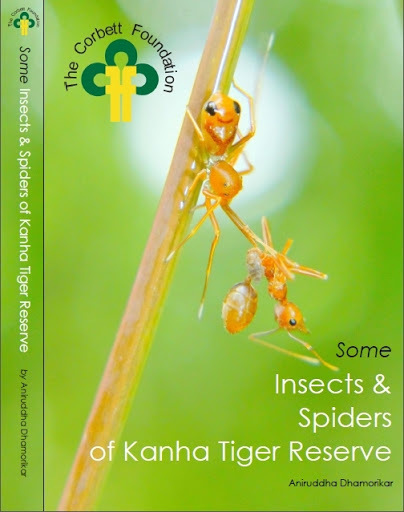 This is more like a workbook than a proper book, for it only serves to act as a prelude to future in-depth studies about the least known fauna of Kanha Tiger Reserve. · It provides a list of 35 species of flora which can be planted to attract insects, along with several recommendations in the form of discussions which can be applied to any landscape. · Other specifications: 207 pages. Colour. A5 paper.